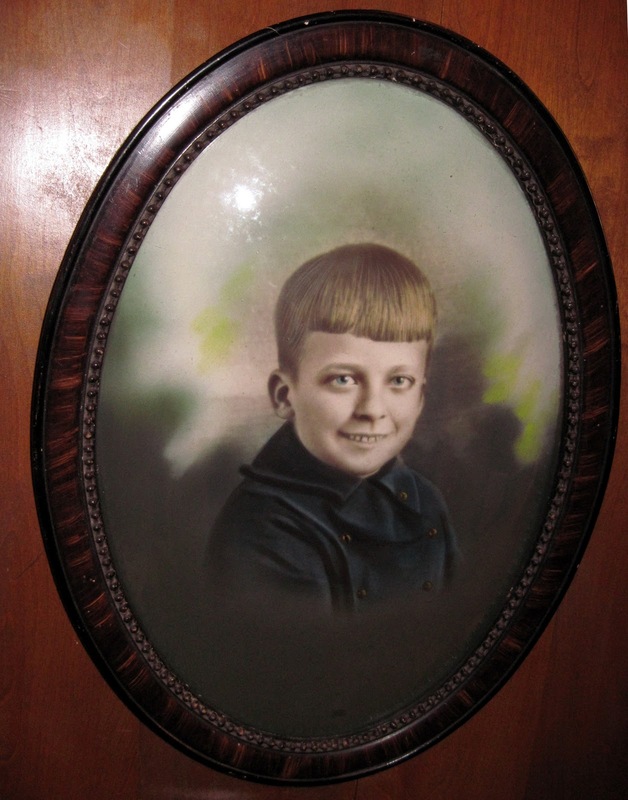 The tinted photograph is in its original, 21 inch tall domed-glass frame, and dates from the early 1900s. The green miasma in the background really heightens the spooky mood, I think. I'm not sure what effect the photo tinters were going for there, but I can't imagine they intended the "ghoulish vapour" look they unwittingly achieved. 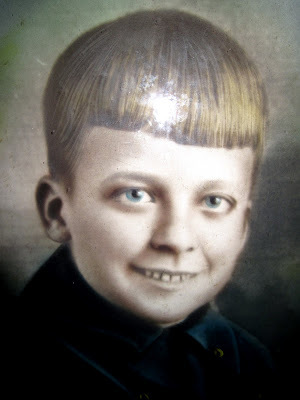 Isn't he a delightfully creepy looking kid?